The Outer Banks were notorious for shipwrecks and pirates. Turned out it was a great place to hide for those who knew how to travel the waters. Several lighthouses were erected to help direct captains through or past the challenging shoals of the area. At the northern-most end of the Cape Hatteras Seashore is Bodie Island Lighthouse, well recognized with its black and white design. We paid our $8 fee for the privilege of being able to climb the 200 stairs to the top. 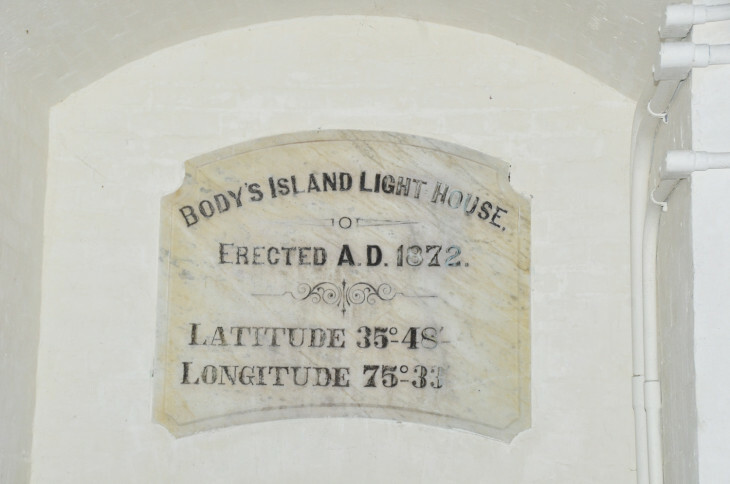 Tours are well organized with a limited number of people being able to enter the light station every 15 minutes. We met a park ranger at the bottom who shared a little history on the structure. This light station was the third attempt to build a lighthouse in this area. 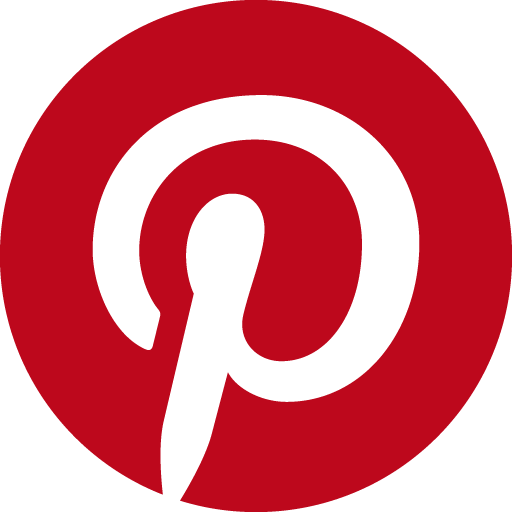 The first, smaller rendition, began to lean after two years. They stopped using it in 1859. 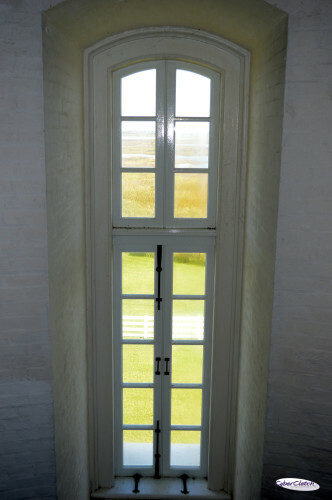 The second version of the lighthouse was blown up by confederate forces when they retreated during the civil war. 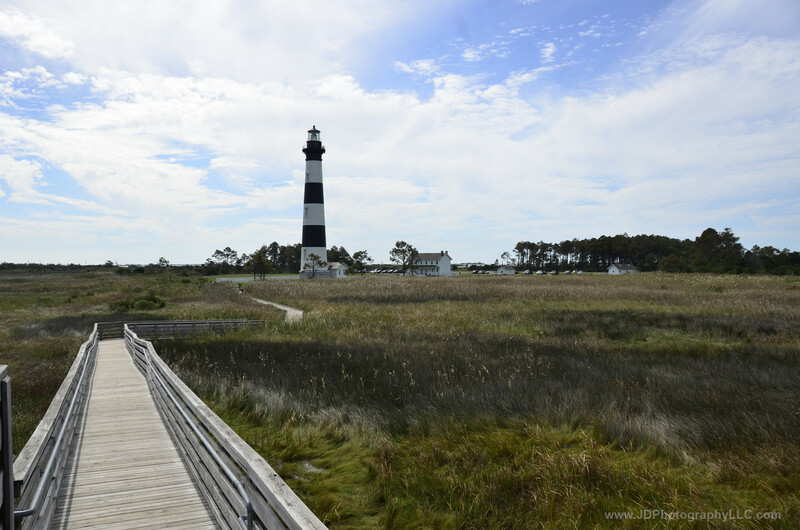 Today’s lighthouse has been standing since 1872, after the 15 acre site was purchased for $150. Now they make more than that per day with tours! Talk about a good investment! I was pronouncing the name Bodie with a long ‘O’. Wrong. It’s pronounced Body as the spelling on this plaque shows. I was curious why the spelling of the name changed over the years and discovered that it was not initially named for all the bodies that have drowned in the Graveyard of the Atlantic but instead for the Body family who initially settled the land there. 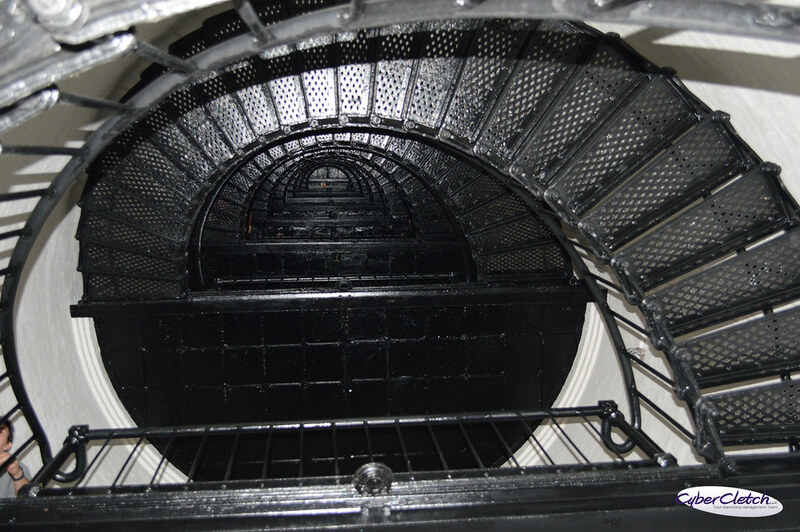 The lighthouse stairs and railings are made from beautiful, black cast iron. 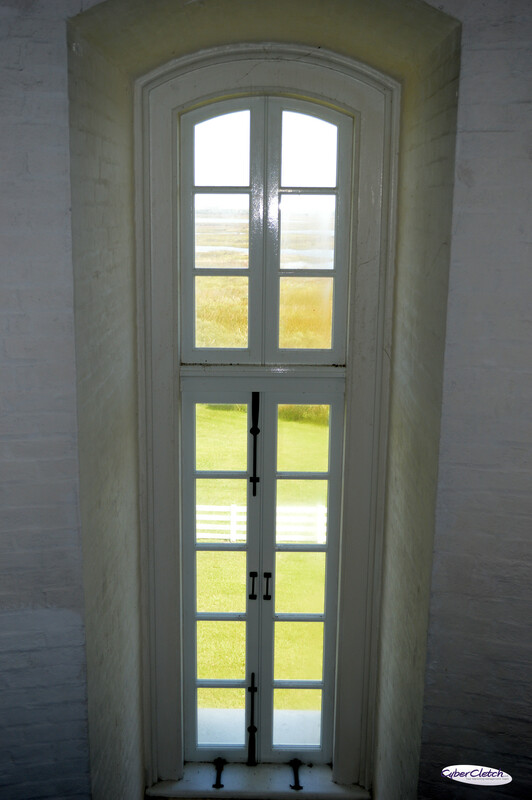 The building was only recently restored and then opened for tours in the past couple of years. 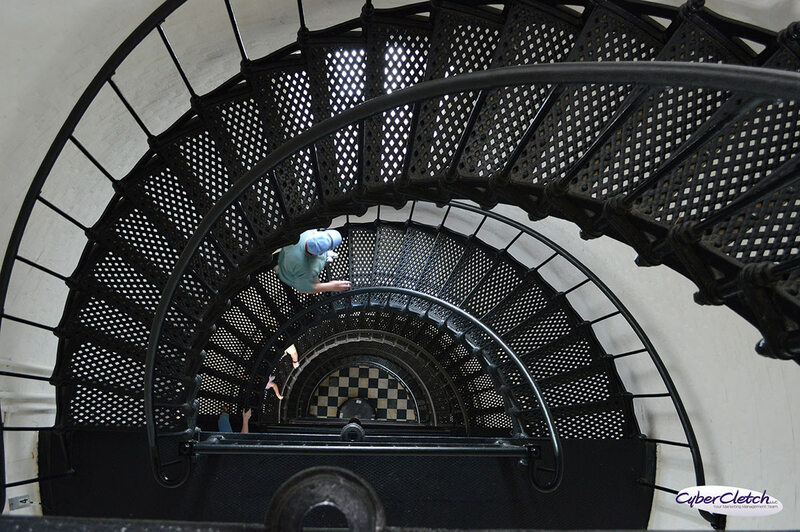 Bodie Lighthouse stands 156 feet tall, so those 200 stairs are harder to climb for some than for others. 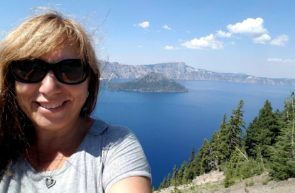 I enjoyed it because, depending on where you stopped to catch your breath, there were peeks of the landscape out tall windows, enticing you to keep climbing for the view at the top. 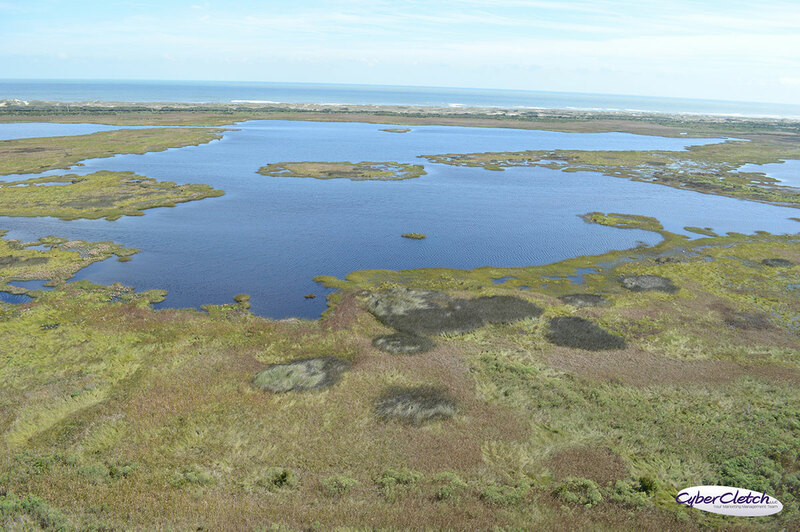 The reward for climbing is a far reaching view of the Outer Banks. Plus another park ranger, available to answer any questions guests may have. 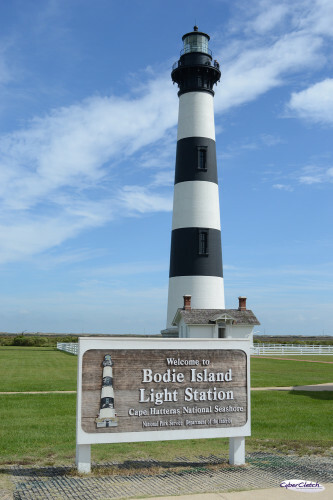 Bodie Island isn’t actually an island anymore, the shifting sand of the area joined this island to the main peninsula where Nags Head is located. 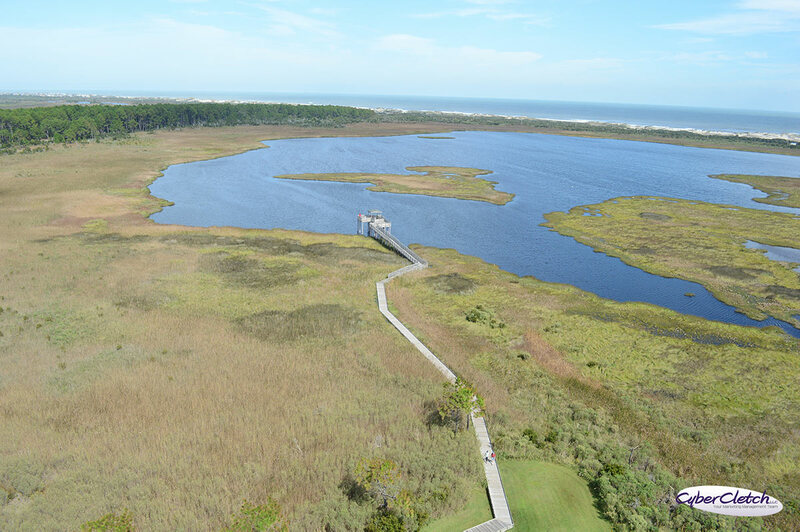 A boardwalk through the marsh gave an alternative view of the lighthouse. This seemed to be a favorite location for the birders.